← Barkley’s Great Escape is joyful lesson!! An Awesome Children’s Book!! Anyone that likes a book with a dog in the storyline, this is your book!! 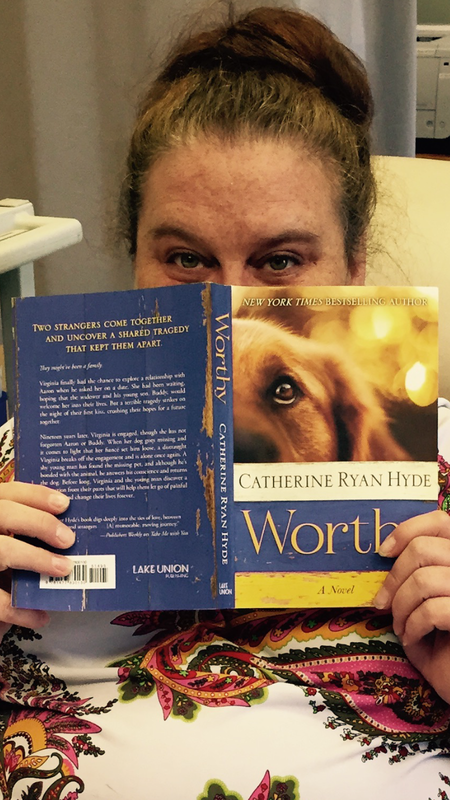 Catherine Ryan Hyde delivers a beautiful story, revolving around a man named Jody and a woman named Virginia that could have been his Step-Mother. Ok, maybe it revolves around the dog named Worthy that Jody found that actually belongs to Virginia. Either way you look at it, this story revolves around a shared loss and unimaginable grief and pain. The tragedy at the beginning of this story will tug at your heartstrings, because Jody (nicknamed Buddy) loses his father and dog, due to a very dumb err in judgement on the behalf of two mischievous teenagers. This was where the story ended for me. The rest of it was very status quo. I was not completely taken away, as I saw this as an easy story to figure out. I was never shocked by anything. It was not an easy book to finish due to my lack of interest. I know that anyone that likes a book with a dog in the storyline, this is your book!